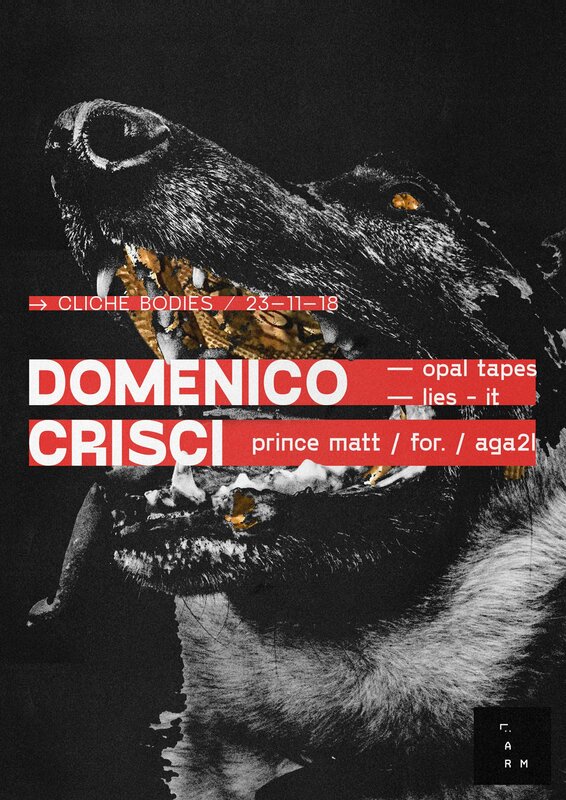 Domenico Crisci is one of the most forward thinking and diverse DJ/Producer of today's techno scene. We can see the colorfulness of his work right away through his releases: since not a lot of people are releasing on so many different types of labels such as Opal tapes, Jealous God and even Ron Morelli's label, L.I.E.S. He has been performing from the infamous Georgian club KHIDI through the legendary Klubnacht at Berghain to the genre-leading Katharsis festival.